AllGov and the New York Times are among those who have leaned on reports by the Seattle Times and the Center for Public Integrity as they attack the reforms sought by manufactured housing with respect to Dodd-Frank. 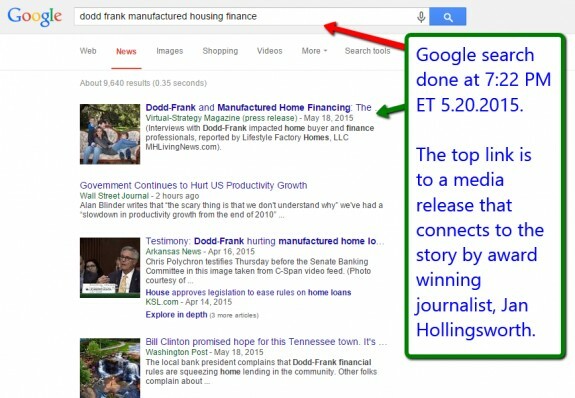 The form their brand of journalism has taken has been to attack the largest manufactured housing operation in production and lending – Berkshire Hathaway, Clayton Homes, 21st Morgage and Vanderbilt Mortgage and Finance (VMF) – as a way of undermining the entire industry’s efforts to modify the onerous regulations imposed by the Consumer Financial Protection Bureau (CFPB), which are harming millions of manufactured housing owners as well as the MH Industry at large. The best way to begin to address their many errors is to share three links that directly or indirectly disprove much of what they claim is true. First, the following link under a Google News search this evening is the following. We’re pleased to say that a number of media outlets have picked this story up, which has nudged the Seattle Times from the top spot on Google for this same search just a week ago. 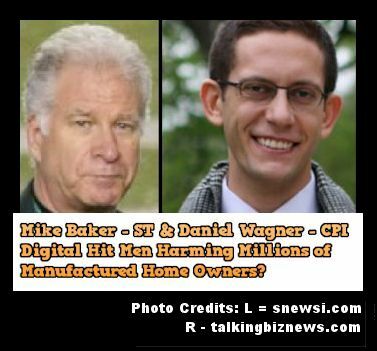 The story that shows that manufactured home lending is NOT predatory, is linked on the image above or at this link here. 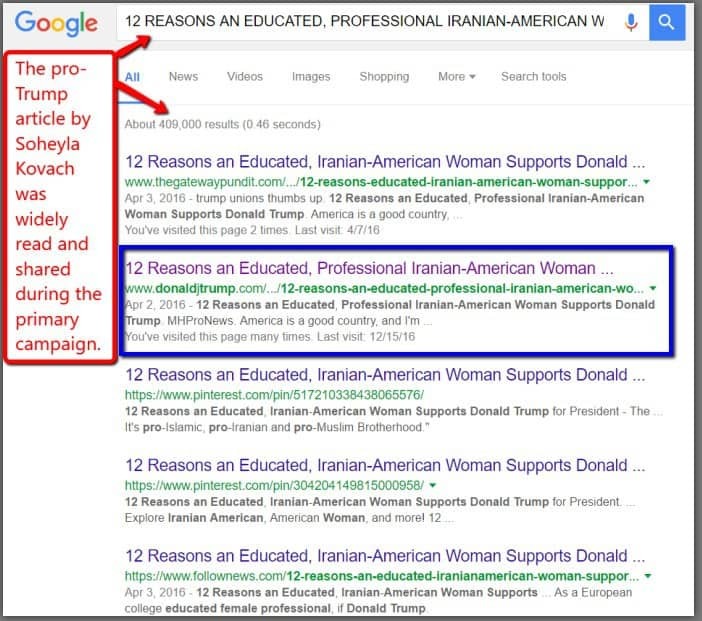 Second, the Seattle Times, New York Times, AllGov et al publications have arguably used red hearings and clearly misleading statements. 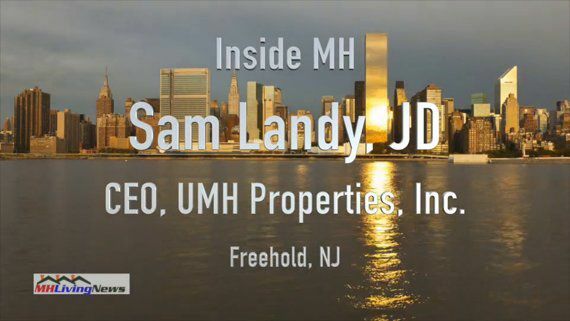 Sam Landy – President and CEO of UMH Properties (NYSE:UMH) video interview on the impact of Dodd-Frank/CFPB regulations on manufactured home lending is linked here. The video and article cause many of the claims made by other media to crumble under closer scrutiny. Third, this article posted by Matthew Silver this morning quotes at length from Don Glisson, Jr. – President and CEO of Triad Financial. Let me wrap up tonight with this comment that was posted on the AllGov article on the upcoming S 682 related vote in the Senate Banking Committee. This is perhaps a tad worse than the Seattle Times was in terms of accuracy. First, there have been no mobile homes built in the U.S. since June 15, 1976. Second, even if the authors above had used the correct terminology, Clayton Homes does not control 91% of the manufactured housing market. 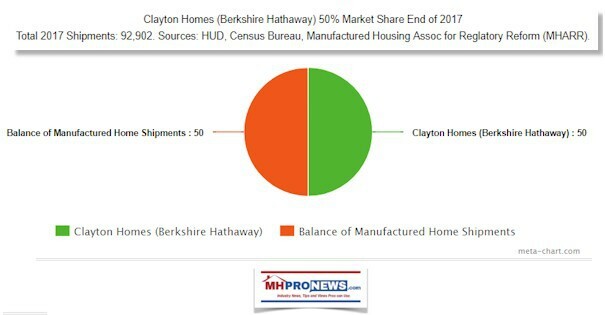 The combined Berkhsire Hathaway controlled firms are about 45% of the new homes being sold. Third, Berkshire Hathaway affiliated lenders do dominate manufactured housing lending on the personal property side. But the current regulations under the CFPB has been driving lenders out of the space, please see the article linked below, which includes an interview with a firm that withdrew due to CFPB regs. Fourth, if conventional housing was as restricted as manufactured housing, there would be serious problems in resales of houses or condos too! Due to the choking regulations, fewer loans available, harms the values of those in the lowest cost manufactured homes, specifically those under $20,000. I’d invite the authors to contact me for more insights that could set these and other errors straight. Thank you. All of this points to the need for manufactured housing to continue to rally around the effort to define ourselves. We in MH have a great story to tell. We ought to be proud of the opportunities offered to the full spectrum of customers – from those with credit challenges to those who can finance or pay cash for whatever they want, and they decide on the value of modern manufactured homes. We either define ourselves or others will define us, often to our detriment. 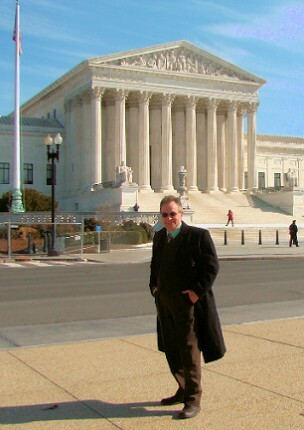 When our story is better understood, even our political efforts will benefit. We each have a role to play in this effort, with time, talent or treasure. We must be the true advocates for millions of current and future manufactured home owners harmed by Dodd-Frank. Protecting our customers also protects and promotes our business. The insight and power possible from a single sentence, a powerful quote, is telling indeed. The quotation above is a case in point. 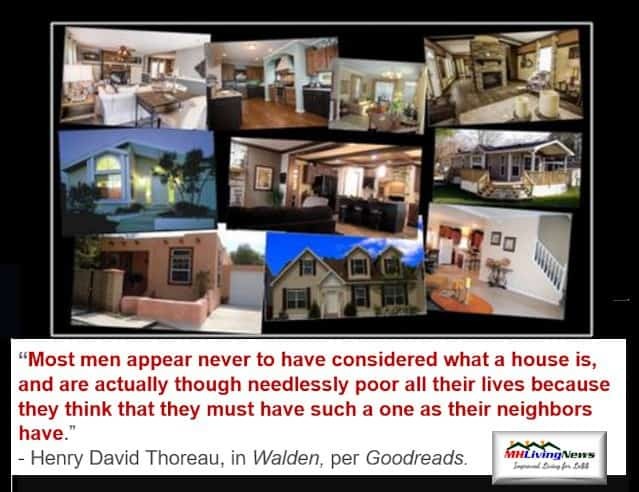 Let us see for a few moments how this quotation applies to the manufactured home and factory built housing industries. 2. What communication is taking place isn’t being heard by enough people. Ladies and gentlemen, our Industry is poised for greatness in terms of product quality, value and the demographics of the near future! 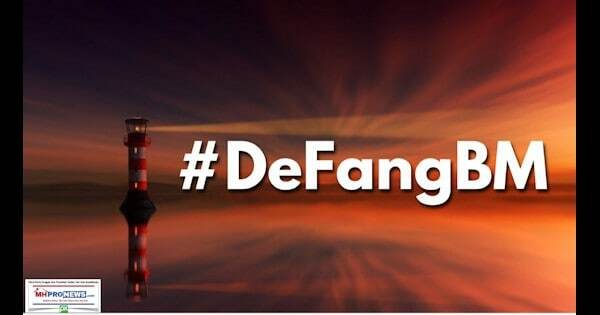 But if we fail to communicate our tremendous value, then no wonder that the GSEs, FHFA or any number of federal agencies can thumb their nose at us on financing or any other issue! 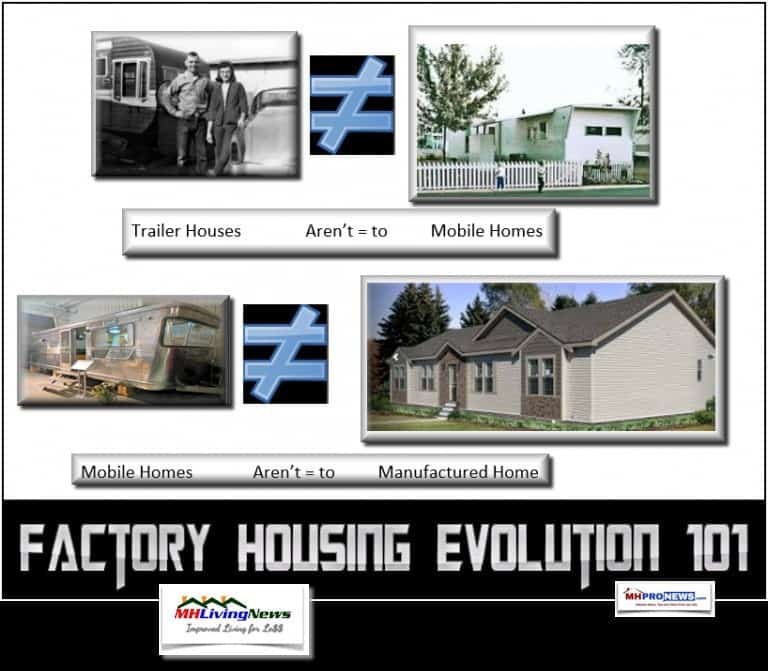 In the new book – The Manufactured Housing Revolution! – that I was honored to edit and help write with over a dozen top factory built housing industry pros, the elements of success are all spelled out in those 190 pages. Yes, it is a good read. But the point I want to make is that speaking the truth must result in an effective connection with the audience. If the industry financing faucet suddenly turned on, a number of retailers, land lease community operators, manufacturers and supplier/service firms of all types would become very happy. But how long would the euphoria last if we haven’t won the minds and hearts of the public we seek to serve? Would we merely see a repeat of the roaring 90’s, rising up to new highs, only to crash down to new lows? First, we must have the character and will to do what is right and prudent every time. Second, we must have an ardent desire to serve our clients so well, to protect our lenders and vendors so well that we will never again see a Conseco-style meltdown scenario. 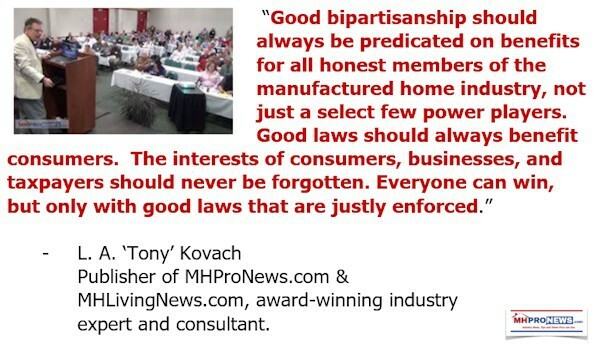 If we had 20,000,000 manufactured housing owners cheering for our industry, we would have financing, we would have no real problem with regulators, we’d have customers lined up at the doors and we would be singing all the way to our respective banks. As it is, how many in our own industry can we count on? I guarantee you, if you have a firm beyond mom and pop in size, the odds are sadly good that you have people in your company who don’t think well of our industry and our product. They are more influenced by the media than our own industry. That has to change if we are to reach our collective potential. So it may sound self-serving to say that you and your staff need to become totally immersed in best practices, inspiration and pro-Industry news items found only at MHMSM.com. But that is the reality of things! If people are so busy “doing the job” every day, without at the same time becoming ambassadors for the industry, we have only more trouble waiting in the days ahead. 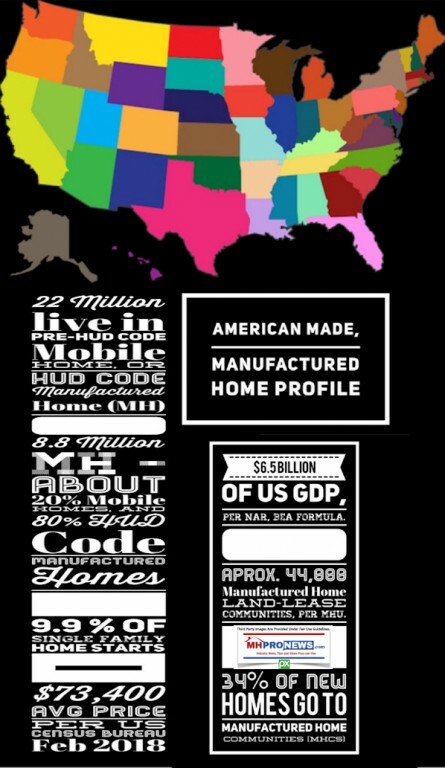 We have to turn the 500,000 or so manufactured housing industry people into true believers! We have to serve so well that our customers become as ardent as the Apple iPhone customers are! Yes, pick up the book The Manufactured Housing Revolution. Yes, read it cover to cover. But then keep it from gathering dust on your shelf afterwards – use it as your constant reference book. The Revolution can make you and your associates more successful than you have ever been! But it will take effort and it will take organic, fundamental change. It starts with you and your company, with you and your staff.